Hello, vape fam! This week our Deal of the Week is bringing all the performance and plenty of great features and we hope you’re ready! 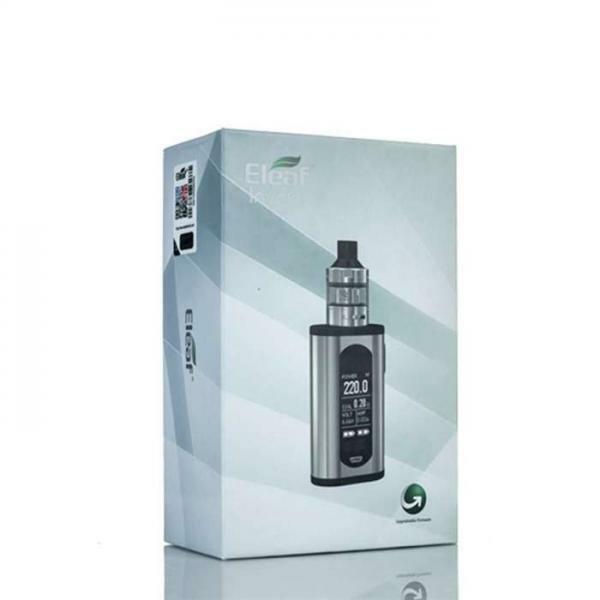 While some starter kits offer versatility and high performance, none do it quite as well as the Eleaf Invoke 220W TC Vape Starter Kit with the Ello T Tank. This kit will please just about any vaper out there, and for this week only, you get the chance to score it at 10% off! So do check it out; this is a deal you don’t want to lose out on! Happy shopping, y’all! Who doesn’t love a good Eleaf starter kit? This brand has been blazing trails in the vape industry for years, leaving behind a legacy of amazing products everyone needs in their lives. High quality and built on innovation, there is no end to the versatility and intelligence behind their products. We can’t say enough awesome things about this brand because time after time, they create exactly what this diverse community of vapers needs. From beginner’s vapes to advanced marvels of technology, they really cover all ground. Our Deal of the Week: The Eleaf Invoke 220W TC Vape Starter Kit w/ ELLO T Tank. The Eleaf Invoke 220W TC Vape Starter Kit with the Ello T Tank is quite a diversion from the standard basic vape starter kit. This gorgeous setup was designed to appeal especially to beginner vapers who crave high intensity and power. Where it truly excels is in terms of performance, however. The Eleaf Invoke 220W TC Vape Mod is equipped with a substantial amount of power thanks to its dual 18650 battery configuration. Such power enables it to produce a maximum of 220 watts of output, which, when coupled with temperature control, produces some immaculate results. Some of the coolest features on this very high-tech mod include Preheat Function, Stealth Function, and Custom Logo Option, which allow it to work in your favor, however, you like it to. Another awesome detail is the smart mode that enables automatic coil sensing, which offers highly intuitive usage. All the while, as it boasts such fine features, it remains overly simple and uncomplicated to use. A brilliant 1.3″ OLED screen is set into the device offering a clear view of statuses, along with a simple point of navigation to control the device. Dual Circuit Protection and Reverse Polarity Protection are included as additional safety protections that offer security and peace of mind for the user. As cool as the Invoke 220W mod is, its performance is boosted and magnified by the addition of the ELLO T Sub Ohm Tank. This tank offers the option of two different glass sections, which are both included, enabling you to have either a 2ml size or a 4ml size. Several coil options are also included, allowing for further customization and experimentation if you prefer to try different things to ensure your experience is always interesting. Spare parts come as part of the package, which is always a good thing because you never know when you’re going to need ‘em! This week, we are bringing the goods with one seriously fine starter kit! We hope you’re as excited about the savings as we are; the deal is hot and the starter kit is incredible! You’ve got just one week, so mosey on over and check this one out; this is a Deal of the Week not to miss! A review of the Eleaf Invoke 220 W Starter kit from a VaporFi Customer. DOW: The Vaporesso Nexus is 10% OFF! 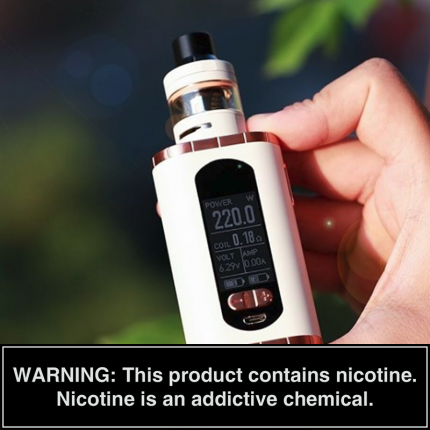 Vaporesso Target Mini 40W VTC Starter Kit is This Week’s DOW!